We've just put our latest designs online and taken delivery of some of our most popular pairs - The Journeying Sock in both adult sizes and The Praise Sock in a dark blue. The Forgiveness Sock. We're told to forgive, and we are forgiven. Not an easy thing sometimes. 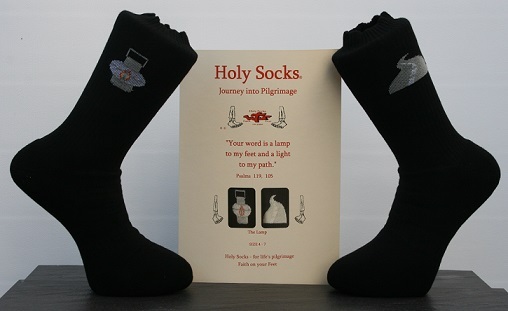 and The Lamp - a thicker style sock made for serious walking. Click here for more details.